Bring your Video Platform to life! Design speaks a lot. Your platform’s design is the impression of your business. And Muvi understands your various design needs well. It is very important to have a design that speaks to its viewers in a way that they stay engaged for a longer time, specially in video streaming. And thus, Muvi opens an array of options for you to customize your video streaming platforms. You get a whole bunch of default templates to choose from with Muvi, Build / Design your own OR you can simply ask for customization, Muvi does it all for you. You don’t even have to worry about creating a design from scratch, with Muvi’s bucket of latest design templates, and our online template editor, it is very easy and simple to alter any template as per your brand style and match it according to your audience’s preferences. Whether you run a video platform to educate children or to showcase your creative talent, Muvi has a template to suit it all. Providing a smooth user experience across devices is very critical as you never know what platforms are being used to access your videos. 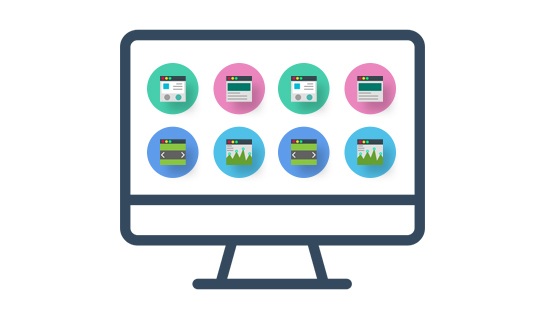 In order for your viewers to have smooth user experience across all devices, Muvi provides fully responsive templates that can fit any screen size, across any device, leaving your viewers satisfied with the platform’s performance. Whether they use a smartphone, desktop, tablet or any other modern device, your viewers are going to be served with an out-of-the-box experience. Choosing the right design template for your video platform is a complex decision. To lessen your worry of choosing a template, Muvi has designed its catalog in a way that you can easily match a template with your brand persona and get going in a matter of few clicks. All the templates are editable and come handy in customization, packed with a whole host of features and functionalities. Still confused if the template can go along with your platform? Muvi allows you to create your own template from scratch, just as the way you want. Muvi templates are built using a powerful template system that enables anyone to modify and bring their own design on board. Wherever you are, whenever you want, if you don’t like something, change it instantly in your Muvi template using a live editor. Muvi templates are easy to edit and the changes reflect on your design just instantly. You can make the changes to a live site, have a look at the Preview and if it suits – Make it Live. It’s that simple! Banner's are the 1st visual that catches the eye of any audience visiting your platform. Muvi supports easy Drag & Drop option for banner images. Upload various Banner images and rearrange to try different variations that will change the look and feel of your platform. Don't like the way it looks! You can entirely customize the look of your website using Muvi's custom template option. 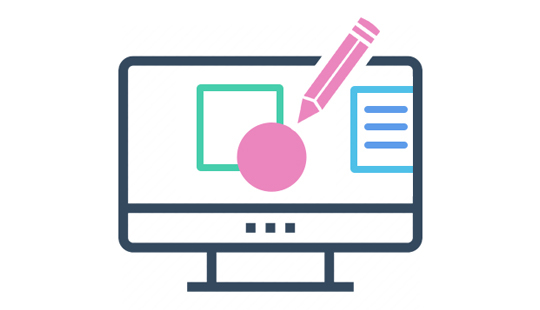 As the platform owner, you can build a new template right from scratch, design it, and create a page that is completely different from the standard ones and is according to your personal preference. An attractive and unique template is an indispensable part of your streaming channel. Muvi offers you a range of video & audio templates, each of them built with attention to details. Impressive banner, responsive video lightbox, clearer CTA buttons, retina ready design backed by clean and organized code makes these templates easy to customize too with no additional effort. Moreover, you can avail personalized templates hand-curated by our trusted professional template partners who have skills and expertise in template designing with years of industry experience under their belt. Count on them to build your uniquely designed template that you think will reflect your brand. Got your own idea to build your template? Cool. Muvi offers a unique Bring Your Own Design (BYOD) template engine which is similar to a WordPress template builder and allow you to build and design your own templates for your platform. BYOD is built using a powerful template system that enables designers and developers familiar with CSS and HTML to build modify the presentation and structure of a website as per your requirement and always be in control of the look and feel of your platform.